I’ve not written a foremother poet blog since early September! (Stevie Smith). It’s more than time for another. 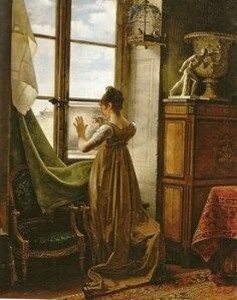 I return by way of a favorite later 18th century writer: Helen Maria Williams who saw herself as a poet but is probably today more appreciated for her journalism, life-writing and simply her life as lived. Her life should arouse identification among many woman today, and someone contemporary with Austen whom Austen probably read. With those hoarse sounds the rushing waters pour. Whose gay luxuriance suits my soul no more. And seem the symbol of my present woe. And nature’s various wealth is all thy own. Of fading pleasures in successive flight. She loves to use rich ardent imagery. Bejewelled. Whose sadness seems in sympathy with mine! And lead the Muse to soothe a suff’ring heart. 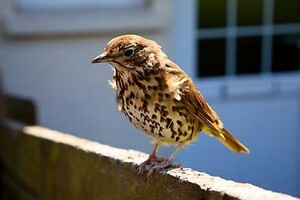 Elegy on a Young Thrush, which escaped from the writer’s hand, and falling down the area of a house, could not be found. The good he well discerns through folly miss? I wrote a blog on how women’s poetry shows this impulse towards identification with small, vulnerable creatures. See Women’s animal poetry, Women’s counter-universes, “Fiercely laconic: gush and the gothic” (from Isobel Armstrong). I reprint a brief summary of Doody’s article in a comment to this blog. Helen Maria Williams deserves to be better known. She can be a joy to read. I find she uplifts my spirits. Lurk’d on its pliant stem with modest grace. Alas, successive sorrows crowd the space. She adds whimsicality (perhaps from Cowper) to her usual love of rich imagery. See also for the tone her “Sensibility Ode”. died when she was young and she came to London to make her living — and did it successfully as a novelist and journalist. She was much feted by respected literati (including Johnson) and part of the radical circles of London. And she brought her sister’s children up — was in fact the mainstay of her larger family. Yet she was apparently not happy for she left in 1790 and never did return (except for a brief period in her very old age). It was very dangerous to be a radical in England too, and I believe Stone was hounded and harassed by the English government in the 1790s. We only hear of the famous cases. If you had lived in the period, you would have considered her a major figure of the period. She was certainly much better known than Wordsworth. I’d like particularly to recommend Letters Written in France: In the Summer 1790, to a Friend in England; Containing Various Anecdotes Relative to the French Revolution in the Broadview Press edition. The editors embed these remarkable letters in an apparatus which includes important pieces from the 7 volumes (of letters which take the reader from 1790 through the establishment of the Directory in 1796, excerpts from Williams’ later epistolary journalism in the Napoleonic years, Williams’s poetry, contemporary reviews and reactions to her work, and a number of key documents (selections from Burke, Paine, Olympe de Gouges, Hannah More, not to omit the Declaration of the Rights of Man). 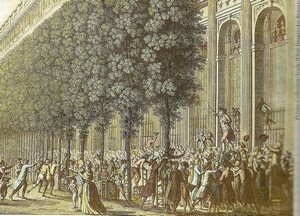 Williams was an eyewitness and participant in numbers of the famous events and eras of the revolution as it evolved in France.She fled twice, once to escape death from the guillotine, in the second instance going to live in Switzerland where she sat down and wrote her 2 volumes Tour of Switzerland. She supported herself thus. Like Benjamin Constant and a number of other liberals, she never lost faith in the principles of the revolution, nor did she regret that the old regime had been overthrown, but saw the excesses, rage, and re-establishment of a military dictatorship as the result of what the ancien regime had been, human nature (with exploitative people coming to the top), the reaction of powerful aristocrats and people who were high in the church (rich and powerful unlike those who lived in nunneries and monasteries and were curates), local intense hatreds and feuds, the massing of armies outside France on behalf of properties classes, and nationalism. She is one of the first to analyze national “hatreds” as prejudice. She was among those who answered Burke directly. 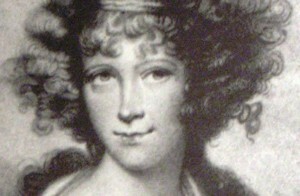 Williams demonstrated a rare courage when she persisted in arguing that the failure, perversions, and fearful violence that the French revolution led to did not invalidate Enlightenment egalitarian and humane ideals; while Hannah More exploited virulent anti-French propaganda to campaign for an emerging counter-revolutionary evangelical value system and restrained bourgeois behavior, Williams praised French culture for initiating reformist ideals and promotion of salon life and aristocratic manners and taste. Sometimes these letters remind me of Ann Radcliffe’s A Journey Made in the Summer of 1794: both women value commerce; both share strong liberal and whig attitudes; both love ruins and landscape. Their attitude towards nunneries are close: both show the women in them to be in effect cast off by their society into abject poverty (the rules of these convents made keeping these women cheap), the next best thing to killing them off by the families that didn’t want them; both stress the terror of the belief that broken vows are terrible and how these were used against women. Indeed the analysis recalls Germaine de Stael’s Delphine. I find I prefer Radcliffe because there is more depth, more detail in her depictions and more intense passion. Williams is ever softening her hits, looking not to offend, to keep a journalistic stance. But of course it’s Williams who records from the center of the hurricane (so to speak) where Radcliffe is at the peripheries. nationalism that grows in the 19th century. marrying beneath him through the use of a lettre de cachet. I say important for these lettres de cachet were used for just such purposes and ruthlessly and they were the second thing the National Assembly abolished. Williams was a good friend to Madame Roland and developed a sort of Parisian salon or circle of friends that met weekly equivalent to what she had had in London. In the Letters from France, readers will like to read a fresh voice, an intelligent working woman’s who does not lose faith in principles she sees allowing for a decent stable just society. You get a strong sense of particulars of 1790s in Paris and some flavor of what came after. She willing sympathetically to dramatize women’s heterosexual desires finding fulfillment outside the prevailing marital codes. Family romances and emotional appeals alternate with stories of imprisonment, catalogues of executions, and “an overwhelming sensation of exile” where Williams is “reduced to the status of a motherless Gothic heroine, in flight from phantoms and despots” (Keane, 70), mourning for the French people, for a lost dream of an international community, for a time when men and women were encouraged to place shared subjective idealisms in the public sphere. That suits the present temper of my soul. And whisper that thy soothing joys are mine! A dream of joy by thee unblest? New pleasure warm’d my infant breast. And long have sooth’d the keener pains of time. How pleas’d for thee, O nymph, I fly! From heav’n’s empyreal source exulting caught. And bid thy airy forms around me live. In that blest isle where SHAKESPEARE rose! Where shall my dazzled glances roll? Shall I pursue gay Ariel’s flight? With deeds unnam’d shall freeze my trembling soul? That calls the angry shades from death! And poor Ophelia sing in wild despair! As tell the powers of SHAKESPEARE’S lay! The perfect image of each native thought. That hides from human eye the heav’nly throng! I hear your high-tun’d harps creation hail! When all was music, joy, and love! And deep Affliction, spread their shade on earth. And every wound of nature heal! That never glow’d at thy inspiring name? How heav’n-taught verse can melt your souls! All savage life affords his sure reward. And copious goblets crown the Muse’s fire. And marvel much at all his rhymes unfold. The cruel tale, and wish’d ye were not dead! And the light thistle waving in the breeze. And hear the sweeping torrent roar! Which Nature’s pencil throws on Nature’s face. And spread those horrors that exalt my soul! With yon pale orb, lov’d poet, come! And earth, with heav’n’s rich spirit blest! And gave him o’er all mortal honours power. Can Fame on Painting’s aid rely? But thou, O Muse, immortal maid! In tints that only shall with Nature fade! The flame it lends a chosen few? And my fond soul shall consecrate thy name. See this brief excerpt and comment on this poem. A perceptive article on women’s writing and poetry: Margaret Anne Doody’s “Sensuousness in the Poetry of Eighteenth-Century Women Poets.” It appears in Women’s Poetry in the Enlightenment: The Making of the Canon, 1730-1820, edd. Isobel Armstrong and Virginia Blain. Doody argues that not only do women tend far more to write of small animals, when they do, they identify with the creatures, project an intense bodily libido towards them, and use the metaphors and imagery that result as ways of making statements about themselves as well as larger issues like injustice, cruelty, self-ownership, the relationship of creatures to one another. Margaret Doody suggests intimate sexual feeling could be and was poured out through writing about small animals by women. We are often embarrassed by this. She suggests that partly therefore men keep themselves at a distance from the animals they describe; they will write burlesque or objectify the narrative. Another an essay by Isobel Armstrong which is important for trying to understand women’s poetry: “The Gush of the Feminine.” It appears in Romantic Women Writers: : Voices and Countervoices, edited by Paula Feldman and Theresa Kelley. I don’t understand Armstrong easily when she writes in an allusive style as she does here. It may be said there is no excuse for saying something so insistently through cryptic references to texts, but it may be that there are ideas that cannot be expressed or argued from a text without this kind of generalization hopping. By generalization hopping I mean she does a close reading of a particular text on her own (only included with epitomizing comments), and then proceeds not to dwell on a ext’s literal content but rather the themes and archetypes and details it shares with other texts because the literal content is often misleading when it comes to understanding what the writer wants most deeply to express. Writing is not much different from ordinary speech in this: we see this kind of unconscious and conscious repression in our speech all the time. Sometimes I understand something by writing about it. The effort to put whatever the idea or narrative is into coherent words forces coherent thinking. So here is a summary and commentary on Armstrong. I am hoping for a thoughtful helpful reply. closely similar poem (in time, type, mood), Keats’s “Ode to Autumn,” showing the striking differences. She then asserts (rightly) that men do write differently, not simply as to subject and stance, but as belonging to debates in literature and the arts. the problem: we have not begun to work out a way to talk about female poetry which addresses the fundamental question of what they are means to us. I agree that when women’s poetry is contextualized with men’s we seem to get nowhere in understanding it nor even seeing its basic genres. Armstrong’s argument is that the “gush of the feminine,” the intense flow of emotion caught up in syntax and imagery, allows women to present and therefore analyse and think about their experience or what they know (know here in the deepest sense, what we can know and do know from the sheer existence granted us [by society]). Burke’s male assumptions about what is beautiful (in women it seems is the beautiful found) and what it’s for (to exist passively for his delectation and this is supposed enjoyment for her). She finds Barbauld’s enactment of the beautiful puts her in the poem on the side of the powerless, vulnerable, controlled, except in the area of fertility which is beyond her and the male’s conscious control. Her capacity to reproduce becomes part of the food imagery (she makes the food) and makes her dependent, exploitable, and yet paralyzed (frozen or still in the imagery of the poem). She finds some parallels between “Inscription” and “Goblin Market” showing how the woman is seized up by her helplessness before her fertility and becomes both tomb and womb. She then turns to Amelia Opie’s “Consumption” and Letita Landon’s “Calypso Watching the Ocean.” In both we find women paralyzed before death and passively waiting, excluded from forms of power and movement. They are ill or they sob. feminine that (in effect) Armstrong is saying is found in all women’s poetry as an essential quality. You might call it a glottal stop. It’s powerfully overdetermined by stories so the woman is not embarrassed to make it visible and strong in her poem. A sharp intake, a loss of breath, founded on inhibition and paralysis, a kind of spasm. the first place I’ve seen him used by someone wanting to elucidate women’s texts. Adela Pinch in Strange Fits of Passion begins with Hume before going on (quite brilliantly) to analyse Charlotte Smith’s poetry, Ann Radcliffe’s novels, and Austen’s Northanger Abbey. The idea is the way we understand existence is through sensed experience, perception apart from words or explanations. Really interesting article on Helen Maria Williams and I agree she is an important female figure who showed great courage in maintaining her convictions even when they became unpopular. She writes that two copies of the book she had written in defence of the girondins and published in London had made it over to Paris, but she did not know where one of those books ended up. She also writes that representatives from the London press came to Paris, attending the trials of the Committee of Public Safety and quoted from her Letters. What I do not understand is considering these factors and the number of innocent people who were executed at this time, how did she escape arrest for her writings? I know she was arrested under the decree to arrest all foreigners in France, but the period before this and then after she was released, she was living in Paris before she left for Switzerland, why was she not arrested during either of these periods? I don’t know. To say Helen was obviously not going to overthrow the revolutionaries won’t get us anywhere because many were arrested and even guillotined who would not have done this or even contemplated it. My guess is she didn’t have enemies in powerful places and she had a few friends. Deborah Kennedy’s biography is so dull that I’ve never been able to get through it: she is determined to conventionalize and normalize Helen to the point I wonder if she is a reliable biographer. Probably the older French biography (very fat) would tell us more: Woodward, “Une Anglaise Amie de la Revolution Francaise.” The title gives us a clue: she really was seen as a fervent friend of the revolution. Probably a real trawl through all William’s epistolary books and putting down names as they come up (in notes, wherever) might give us hints of the circles she could rely on. A Richards Holmes’s approach (_Footsteps_) is what is needed. Thank you for the praise. I appreciate it very much.